Bioscribe is a leading life science public relations agency dedicated to supporting organizations that are advancing biotechnology, genomics, bioinformatics, molecular diagnostics, and molecular and synthetic biology. Founded in the San Francisco Bay Area in 1997, our team members are located in the metro areas of San Francisco, New York, Washington DC, Boston, as well as in the UK. For more than 20 years, we have been a leading boutique PR agency working with companies that powered the Human Genome Project and cutting-edge start-ups that are innovating to unlock its value. We've helped launch first, second and third-generation DNA sequencing systems, molecular biology lab tools and automation solutions, bioinformatics software, single cell analysis solutions, molecular diagnostics, DNA forensics systems, next-generation biotherapeutics such as cell therapies, and vaccines. Our senior PR consultants and writers bring decades of experience and expertise in the biotech, diagnostics, pharma, and life science research markets. In addition to previous large PR agency experience, our team members have built in-house communications teams and covered the industry as journalists and editors of leading publications. Our clients include innovative start-ups powering the DNA revolution, biotherapeutics companies, life science technologists, and financiers of healthcare innovation. Akoya Biosciences’ history represents the rapid advancement driving the field of multiplexed biomarker analysis and immunofluorescence tissue analysis. Today’s Akoya portfolio spans the spectrum from powerful tools for discovery of important biomarkers to clinical research applications. Alzeca is focused on developing novel targeted MRI imaging agents for the early diagnosis of Alzheimer’s disease and other neurodegenerative disorders. The company’s proprietary technology is based on nanoparticles that specifically bind to abnormal proteins that accumulate in the brain years before significant cognitive symptoms appear. Aravive is a clinical stage biotechnology company focused on developing new therapies that target important survival pathways for both solid tumors as well as hematologic malignancies.The company's primary therapeutics focus is the GAS6-AXL pathway, which can interrupt oncogenic signals and turn off the "survival switch" that allows cancer to grow, spread and acquire therapeutic resistance. Azitra, Inc. is a preclinical stage biotechnology company combining the power of the microbiome with cutting-edge genetic engineering to treat skin disease. Bionest works to create competitive advantage for its clients by developing innovative and differentiated strategies at the corporate, portfolio and brand levels of medical and life science businesses. They also provide valuation and due diligence services to companies, investors and private equity. Caladrius is a clinical-stage biopharmaceutical company with multiple technology platforms targeting select cardiovascular indications and autoimmune diseases. Celsee’s first product, the Genesis system, enables scientists to analyze and interpret cellular behavior and collect previously inaccessible information for improved results in applications such as proteogenomics, next-generation sequencing, immune monitoring, and cell therapy. Hesperos has develops a tool to characterize an individual’s biology with human-on-a-chip microfluidic systems. With a mission to revolutionize toxicology testing as well as efficacy evaluation for drug discovery, the company has created pumpless platforms with serum-free cellular mediums that allow multi-organ system communication and integrated computational modeling of live physiological responses of functional neurons, cardiac, muscle, and neuromuscular junctions as well as liver, pancreas and barrier tissues. Inscripta is a gene-editing technology company that puts researchers in control by making it easy for them to get all they need for cutting-edge, forward cell-engineering. These tools include a family of CRISPR enzymes (called MADzymes), custom nucleases for researchers and commercial partners, and a full suite of gene-editing tools. Labcyte is revolutionizing liquid handling. Its Echo liquid handling systems use sound to precisely transfer liquids without contact, eliminating the use of pipettes. Labcyte instruments are used worldwide throughout the pharmaceutical industry, diagnostic companies, genome centers, genomic service companies, biotechnology firms, contract research organizations, and academic institutions. Luminex aims to transform global healthcare and life science research through the development, manufacturing, and marketing of proprietary instruments and assays that deliver cost-effective, rapid results to clinicians and researchers. Founded by physicists from the University of California-Berkeley and Lawrence Berkeley National Laboratory, Nanōmix is developing the next generation of mobile, point-of-care medical diagnostic tests to enable earlier and more accurate testing in hospital and pre-hospital settings. .
NanoView provides direct from sample, label-free characterization of extracellular vesicles with no purification required. The platform will assist in the translation of extracellular vesicle research into the clinical and therapeutic environment. Stemina markets its ASD diagnostics through its neurological disorders division, NeuroPointDX. Their metabolomics-based tool assists with the diagnosis of autism spectrum disorder and is also relevant to other neurological disorders that are notoriously difficult to diagnose and treat, including schizophrenia, depression, and anxiety. Outcome Capital is a unique investment banking firm that provides middle-market growth companies in the life sciences, healthcare services and technology markets with a value-added client-centric approach to merger, acquisition and corporate finance advisory services. Pacific Biosciences in transforming the way humankind acquires, processes and interprets data from living systems through the design, development and commercialization of innovative tools for biological research. Ingenuity Systems is a leading provider of biomedical information and analysis solutions for the exploration, interpretation and analysis of complex biological systems. Sage Science develops products for sale to the Life Sciences research and Diagnostic laboratory markets. The company's mission is to provide new systems to streamline and improve sample preparation workflows. Sema4 is a next-generation health information company, spun out of the Mount Sinai Health System, that provides advanced genomic testing and merges big data analytics with clinical diagnostics. Tetra Discovery Partners is clinical stage biotechnology company developing medicines for Alzheimer's Disease, Fragile X syndrome, traumatic brain injury, major depression and schizophrenia. Tetra designs drugs to treat memory loss and cognitive impairment by improving how the brain processes and stores information. Two Pore Guys (2PG) develops single-molecule sensing technologies that employ solid-state nanopores and biochemical reagents to create a versatile sample-in/results-out detection platform. 2PG’s first product is a handheld device that can use reagents from existing molecular or analyte diagnostic assays and provide accuracy and sensitivity rivaling sophisticated laboratory equipment. twoXAR leverages its AI-based computational platform to identify promising drug candidates, de-risks the opportunities through preclinical studies, and progresses drug candidates to the clinic through industry and investor partnerships. Want To Know More About Your Newborn's Health Early On? Nicole founded Bioscribe in 1997 in San Francisco to meet the communications needs of the emerging biotech industry. She has more than 20 years experience providing PR counsel to Fortune 500 companies, small start-ups, and non-profit associations in this industry. Joan is an industry veteran who started her career at Genentech in regulatory affairs and then became a biotech journalist before switching to the other side of the desk to provide strategic communications counsel to biotechnology companies, including efforts to support financing and corporate partnering initiatives. Michelle has more than 20 years experience developing and managing strategic corporate communications, investor relations, and media relations programs for life sciences/healthcare companies. She was most recently VP of Corporate Communications at clinical-stage immuno-oncology company Agenus, Inc. Prior to joining Bioscribe, Meredith was CEO and Editor-in-Chief of GenomeWeb, the leading news and information service for scientists in the systems biology field. Meredith is our head writer and leads the editorial strategy and content marketing programs for our clients. Michele has more than 25 years of experience in healthcare public relations. Previously a senior vice president and director of MSLGroup’s West Coast healthcare practice, Michele currently provides communications services to pharmaceutical, biotechnology, and medical device/diagnostics companies through her own consultancy and as part of Bioscribe. We are a small group of senior, self-directed professionals passionate about helping clients communicate stories about life science innovations. We are currently recruiting PR counselors, media relations pros, scientific marketing content writers and MarCom experts who have experience working on biotech accounts. 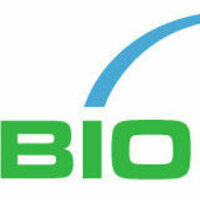 Please send a copy of your resume to us at info [@] bioscribe.com. If it looks like a great match, we'll be in touch.